New Zealand’s silver medal winning women’s sevens players will share their Olympic experiences on a national tour to inspire young rugby players. The tour will see the Olympian sevens players visiting schools, rugby clubs and girls’ rugby tournaments across seven New Zealand towns and cities. Women and girls represent the fastest area of growth for rugby in New Zealand and the visits are an opportunity for elite players to connect with the teenage girls who are keen on the oval ball. New Zealand Rugby Head of Women’s Rugby Cate Sexton said the organisation was incredibly proud of what the team had achieved in Rio – both on and off the field. “Many Kiwis had never seen the team play before and the public’s been blown away by the players’ skill and heart. “These women are fantastic role models for young girls, with their dedication, fitness, training and skill, and the way they represent New Zealand on the international stage. “The players are keen to give back and help grow the game for girls. We can’t wait to introduce them to the next generation of players and for the girls to get up close to an Olympic medal,” she said. The visits are a mix of both school visits where players will share their experience and take coaching sessions with Year 7 to Year 13 girls, and attendance at U15 girls’ tournaments. 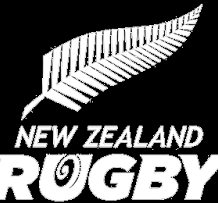 The national women’s sevens side has been renamed Black Ferns Sevens and the 15-aside national team becomes Black Ferns (formerly New Zealand Black Ferns). Sexton said the changes would ensure New Zealand Rugby’s national women’s teams were part of a single and consistent brand.